Located right on Limassol’s beachfront, Olympic Residence consists of two 20-floor towers with breathtaking views. 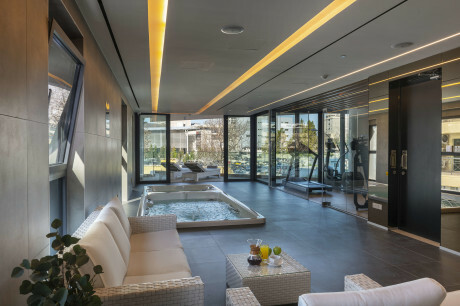 This exclusive residential complex features swimming pools, a country club, a tennis court, a restaurant, designers shopping piazza and a spa with a roman bath. Free Wi-Fi is available throughout. Luxurious two bedroom and three bedroom apartments are available for rent. Elite and exclusive, safe and secure, Central Park Residences has no equal in Nicosia and is comparable only to its sister project in Limassol, Olympic Residence Deluxe Apartments. Living in the capital always holds a special allure. 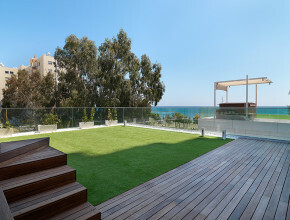 But living in the upmarket centre of Nicosia multiplies the benefits by two major factors: practicality and prestige. Downtown traffic loses its meaning as a short stroll leads you to businesses and banks, as well as high-end shopping and entertainment hot spots. Embassies, ministries and government departments can be reached within minutes. 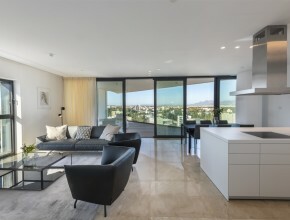 Make Central Park Residences your home and you will add unrivalled exclusivity to the list of advantages. 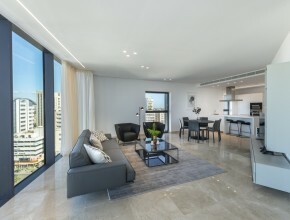 Ministry of Labour, Ministry of Finance, Welfare and Social Insurance – Nicosia is 300 metres from Central Park Residence, while Ministry of the Interior – Nicosia is 400 metres away.